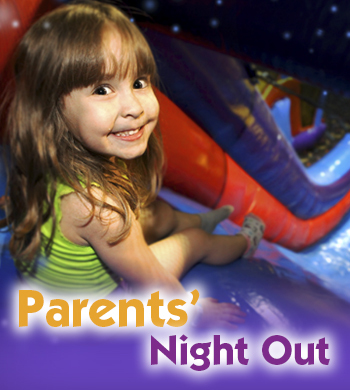 Drop the kids off at Pump It Up so you can enjoy some adult time! Bring the kids and let us do the work! Your kids will enjoy lots of jumping, board games and DINNER IS INCLUDED (two slices of pizza and a drink per child)! That's right! We take care of dinner. So, go ahead, enjoy some "you" time! Space is LIMITED - can fill up fast! CALL NOW to reserve your spot! Socks are required to jump. Where fun knows no limits. Kids spend their time laughing, bouncing, playing games, and creating art projects. 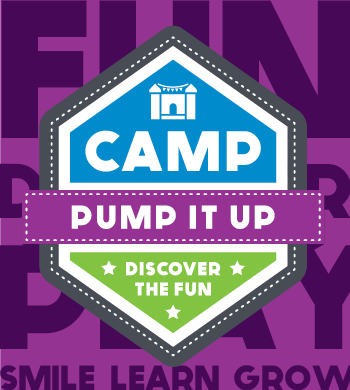 So make your next camp, a Pump It Up camp! Call to register and confirm dates available. LUNCH - Campers can bring their own bagged lunch. No peanut products, please. Lunch can also be provided daily for $4.00. SNACKS - Children should bring a healthy snack for morning session snack-time and a fun snack for afternoon session snack-time. Snacks may also be purchased on-site for your convenience. We have water fountains throughout the facility. Reserve for the whole week and save some money! siblings always receive a 10% discount! Don't need a whole week of camp? Choose any one day $25 (AM or PM)1/2 day per child. Socks and online signed waiver is always required.